Double front doors. 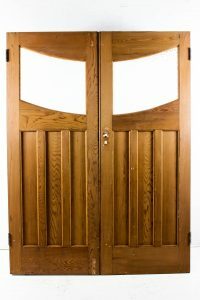 In most cases double door sets can be used Externally or Internally. Weather protection with paint, oil or partial cover is required for any type of door to endure an external environment. With this in mind there is other options available, if you continue searching under Double doors.